Whose clever idea was it to launch a CBI raid against the Kolkata Police commissioner even before the budget sops could be celebrated by the BJP? 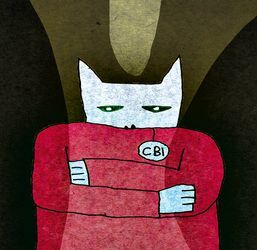 On Monday, ministers and ruling party MPs wondered who had asked the CBI to go with a heavy hand in the eastern state, pushing out the heady effects of the interim budget off television news bulletins and newspaper front pages. Ministers dealing with the uniformed forces, like Home Minister Rajnath Singh and Minister of State for the Prime Minister’s Office Jitendra Singh (who deals with the CBI), shrugged their shoulders. The MPs wondered why the raid could not wait for another week, till the end of the budget session. More than the raid and the case, the timing became a subject of intense discussion in political circles. Of course, the opposition claimed the raids were a move to divert attention from the serious damage done by the National Sample Survey Office document, which had said job growth last year was the worst in 45 years. There were also murmurs that the “clever strategists” of the ruling dispensation—Prime Minister Narendra Modi and BJP president Amit Shah—had deliberately poked the opposition in the eye, so that any fallout of the CAG report on the Rafale deal could be diverted. There is also a realisation in higher government circles that M. Nageshwar Rao, the interim CBI director, gave the go ahead for the raids, knowing well that R.K. Shukla had been appointed regular director and would take charge of the agency within 48 hours. Like sacked director Alok Verma and special director Rakesh Asthana, Rao, too, is a man of strong impulses and even stronger decisions. He stoked the fire in Kolkata, knowing it will be for Shukla to contain its fallout and take the agency forward. But, the raid in Kolkata took the shine off the first budget presented by Piyush Goyal, one of the princelings of the BJP. The term is used by the Chinese media to describe children of prominent leaders of the Communist Party, who are groomed to make it big in the party. Goyal, a chartered accountant and son of long-time party treasurer Ved Prakash Goyal, has been one of the few second-generation politicians who have made the grade in the BJP. The others include Dharmendra Pradhan, whose father Debendra Pradhan was a minister in A.B. Vajpayee’s government, and Jayant Sinha, whose father is former finance minister Yashwant Sinha. But, the father who vacated his Lok Sabha seat for the son in 2014 has been at odds with Modi and his team, with Arun Jaitley calling the elder Sinha an octogenarian job applicant for ministership. The elder Sinha has been critical of Modi, while the younger Sinha has defended the government. However, Jayant Sinha has not achieved higher distinction like Goyal and Pradhan for two reasons—both Goyal and Pradhan have been in party and Parliament longer. Ravi Shankar Prasad is another second-generation leader who has been a front bencher for long. His father Thakur Prasad was a prominent party leader and minister in Bihar. Interestingly for the BJP and the opposition, there is a message from Bollywood if audience attendance is an indicator of mass support. While the film The Accidental Prime Minister, with Anupam Kher playing the role of former prime minister Manmohan Singh, had average viewership, the action drama Uri: The Surgical Strike attracted the viewers with a strong content mix of action, drama, high politics and romance. However, the political surgical strike in Bengal has overshadowed the other strikes at the moment.